EMPASO ® TeamCrate | Available in 84 crate-bottle colour combinations! The EMPASO TeamCrate is the new, strong and lightweight sports bottle carrier available in 7 different crate colours: white, black, dark blue, light blue, red, oranje and yellow. See the examples below. 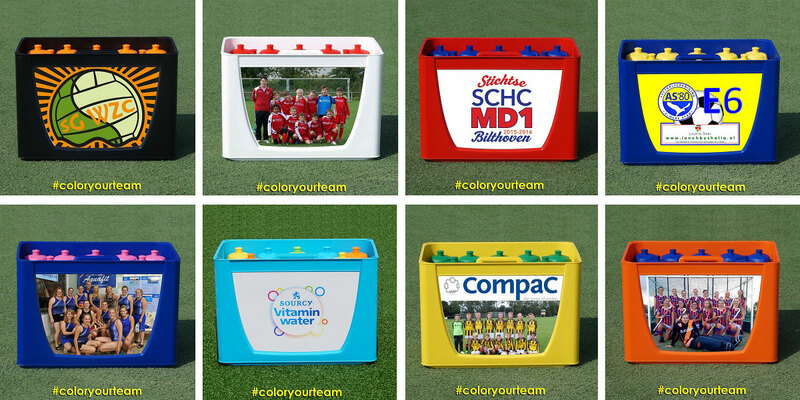 InsprirationVisit our page TeamCrate “Examples” and see for yourself how TeamCrate is colouring teams, sports clubs and sponsors around the world.